1 Bedroom Flat For Sale in Sheffield for £95,000. A superb opportunity has arisen to acquire this stunning one bedroomed ground floor apartment located in the heart of this highly popular and convenient suburb. Of possible interest to the first time buyer, downsizer, or Vendor looking for a ground floor property. The apartment is situated in a property accommodating just two apartments with a spacious layout encompassing the whole ground floor. Having the benefit of double glazing, GCH, driveway and garage with gardens to the front and far reaching views to the rear. Well-presented throughout and finished to a high standard. Ideally located for the full range of excellent amenities including local shops, supermarkets and retail park, public transport links, road network to M1 and city with walks on nearby Birley Edge. Hillsborough is nearby with Supertram network, shopping centre, park and library. The accommodation comprises and entrance hallway with useful built in storage, the lounge has window to the front overlooking the garden and carpeting. The Kitchen has an excellent rang of base and wall units in a modern shaker style with contrasting granite effect work surfacing, coming complete with integrated oven, hob and extractor with plumbing for washing machine, tiled splash backs and window to the front. The bedroom is carpeted and has window to the rear with views over the rear garden and the Bathroom has three piece suite comprising WC, wash basin and bath in white with shower over, screen and tiled splash backs. 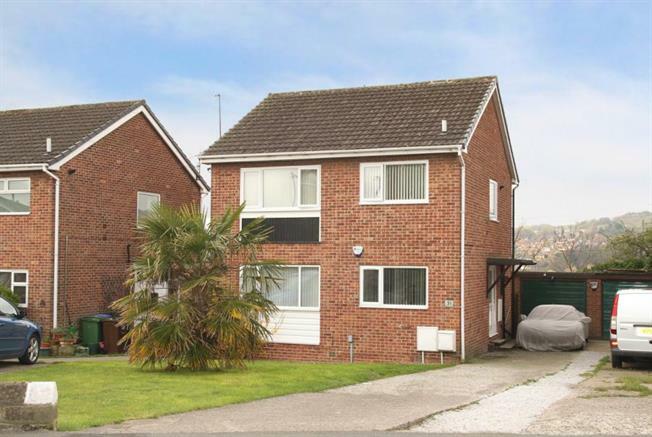 To the exterior of the property is a garden to the front, a driveway providing off road parking and Garage providing further storage or off road parking. An early viewing is absolutely essential to appreciate the size and layout of this beautifully presented property.